The vision for Katerina and Michael’s white wedding was traditional meets fairytale. 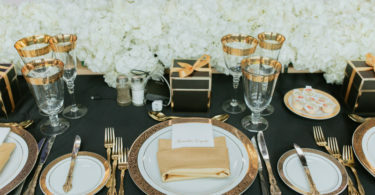 White drapery covered the reception hall walls, luxurious satin linens were fixed on every table and an abundance of florals (orchids, hydrangeas, amaranths and blush roses) were used for the centrepieces. 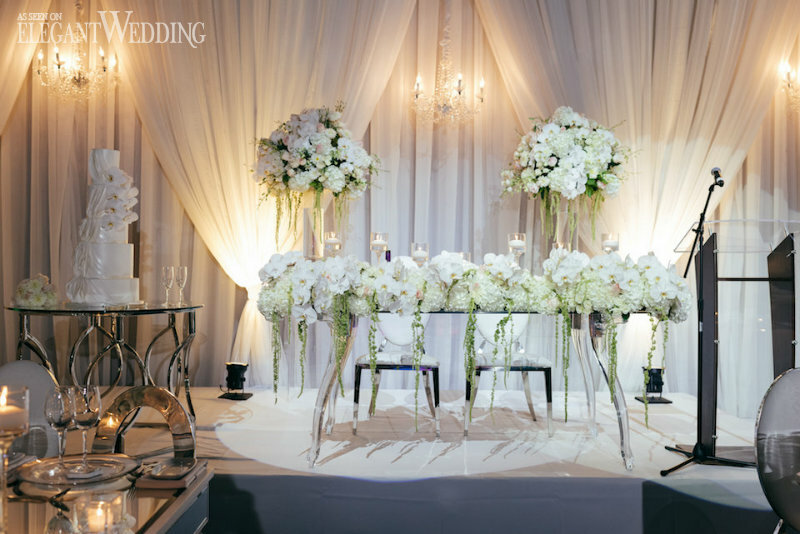 To add silvery accents here and there, all the chairs were selected in white and silver and the seating chart was a mirror. The most whimsical part of it all? The five whimsical floral chandeliers hanging from the ceiling in the centre of the room. It all came together just as timeless as they hoped for! Allure Limo Avenue 22 Bridal Elisabeth & Beau Enzo Mercuri Designs Event Graffiti GG Customs Hair by Emily Luxel Decor Miguel Ramos Jewelry Per Lui Petals by Imperial RDT Events + Beauty S4 Entertainment Sweet Sister Chic Sister The Polka Dot Paper Shop Toronto Wedding Studios TVE Productions Universal EventSpace Whitebox & Co.